The world just celebrated International Women’s Day, celebrating womanhood in all its glory and using the day as an opportunity to show women around the world respect, love and appreciation. Taking forward the #YourSecondHome campaign on Women’s Day, Prega News focused on making pregnancy comfortable for the domestic house help. The brand focused on the fact that pregnancy is a challenging period for every woman, and physical exertions can lead to a lot of discomforts. Through this campaign, the brand urged people to extend their care and have a sense of empathy towards the house helps who are expecting mothers and have made other’s homes a better place. Prega News has also created a site where people can sign up to help if they have pregnant house help. Apart from that, a contest was also run where people had to share unique ideas to help their domestic help during her pregnancy. In an attempt to urge women to celebrate their individuality and live for themselves, Candere by Kalyan Jewellers launched the #EkZindagiKhudKeNaam campaign – meaning dedicating your life to your own self. The campaign questions the stereotypical mindset of the society that believes that women always dress up for men, or work on their talent only to impress others. With the ending line of the video that says, “Kabhi kabhi mere dil mein yeh khayal aata hai, ki jaise tujhko banaya gaya hai sirf tere aur tere liye”, Candere establishes the fact that beyond their conventional roles, every woman is born equal and have their own identity and should be respected, appreciated and celebrated for the same. The leading fashion brand, Max Fashions encouraged women to shed their inhibitions when it came to choosing clothes and wear whatever they wanted to. Be it the fear of being judged, a comment from a colleague or some perceived notions set by society, there are a lot of factors that prevent women from wearing their favourite styles. 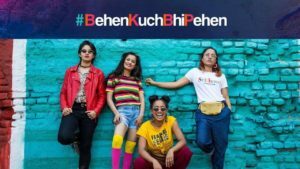 The campaign video shows a rap song by Anushka Manchanda, urging women to #BehenKuchBhiPehen. 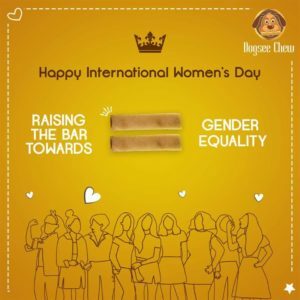 Roping in celebrities like Kishwer Merchantt, Jwala Gutta, Radhika Apte and Kajal Aggarwal who voiced their opinions on this campaign made it a social media success. One of the popular headphone brands in the country, Crossbeats came up with a unique contest to celebrate Women’s Day this year. 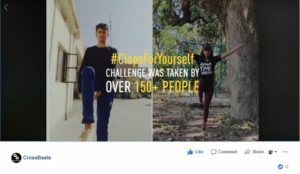 The #ClapsForYourself contest encouraged both men and women to perform the highest number of fitness hand claps in 30 seconds. The idea was to clap for every strong woman around us, but with a fitness twist. The participant with the highest number of claps would win a Crossbeat product. The contest performed very well on social media with numerous fitness enthusiasts taking the challenge on both Facebook and Instagram. The challenge was taken by 150+ people, and a total of 8265 handclaps were performed and viewed by 83K+ people across the nation. 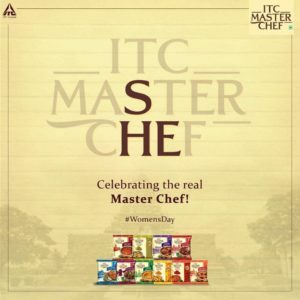 Aditya Birla Group’s Liva Fashion conceptualized the #MyLifeMyTag campaign that celebrates women and applauds them for their dreams, passion, strength and individuality. The video showcased the strong women working with Liva, dropping the ‘tags’ of preconceived notions that society has given them and showcasing their strong personalities. The message sent out in the video is clear – women should be nothing but confident, dynamic and unapologetic for who they really are. 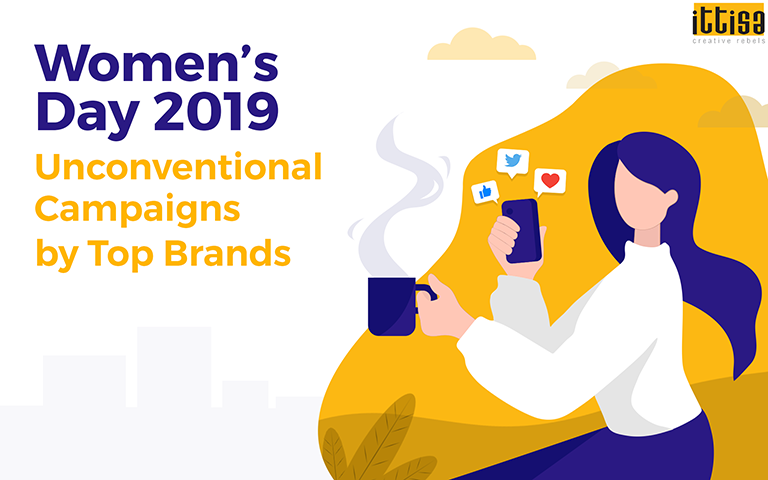 Apart from the campaign, the brand also ran a contest with the same hashtag, urging women to share the tag they have received from society and how they have dropped it. The contest video gathered 1.2M+ views on Facebook. 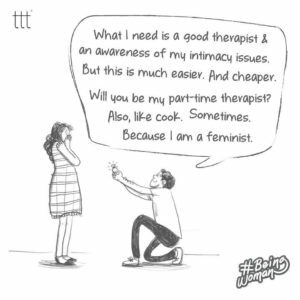 The most popular microfiction platform, Terribly Tiny Tales, ran a series of posts, titled #BeingWoman that highlighted the perils of what modern women go through. 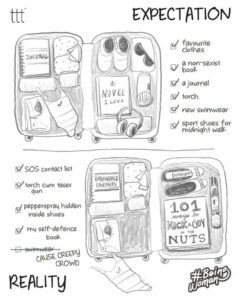 Real-life situations like at work, travelling alone, going home late night, etc were showcased with a sarcastic twist. The series witnessed 6.1K reactions, 350+ comments and 770+ shares on Facebook and 135K+ likes on Instagram. 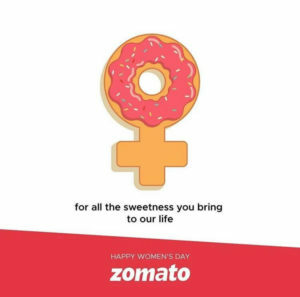 Can you think of any other Women’s Day campaign that caught your attention? Leave your reply in the comments section.